Members are invited to an exclusive private view of the exhibition after the gallery closes. 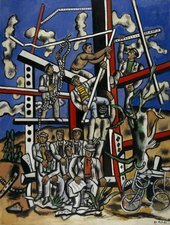 An evening Private View is the perfect time to see Fernand Léger: New Times, New Pleasures outside of gallery hours and are a great social occasion for an evening with friends. Don’t forget as a Member with the Liverpool Extra Card you can bring up to three guests to the preview.